﻿ SS Seamless Reducing Elbow, Steel Welded Reducing Elbow Exporter. 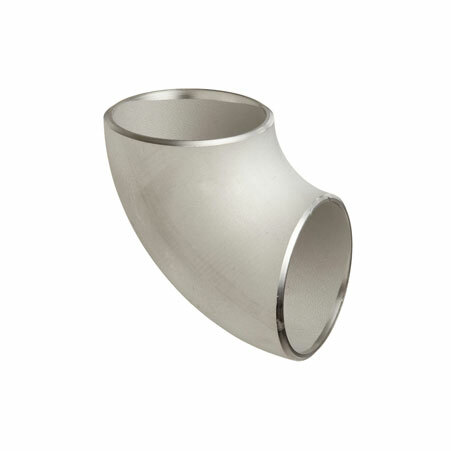 ASME / ANSI - B 16.9 SS Reducing Elbow Manufacturer, Hastelloy Reducing Elbow Exporter, Inconel 180° Reducing Elbow, High Nickel 1D Reducing Elbow, Monel 90° Pipe Reducing Elbow Supplier In India. Amco Metals is a leading producer of a range of quality goods that give maximum performance and protection against quick wear and tear. Our goods and services are available at affordable rates, and are delivered to you on-time for the quicker competion of your projects. We are a manufacturer, trader, stockist, supplier and exporter of Reducing Elbows, which affix two pieces of pipes of dissimilar sizes. We provide Reducing Elbows in 45°, 90°, 135°, 180° angles, that guarantee performance under a variety of working temperatures. We provide resistant to chemical corrosion and leak-proof Super Duplex Reducing Elbows to the chemical and food processing industry. Our Monel Reducing Elbows are high pressure and temperature withstanding, are contamination-free and appropriate for systems that demand high purity. 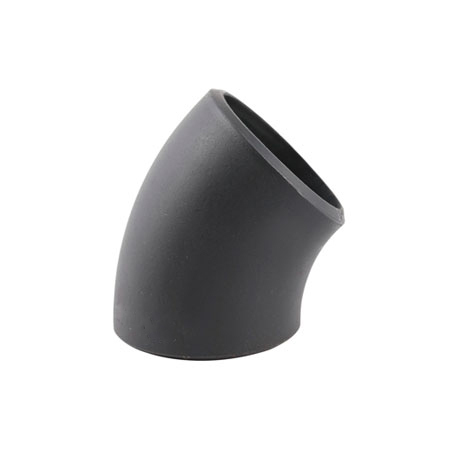 We supply Titanium Reducing Elbows are ductile and light weight, with softer inner walls for smooth product flow. 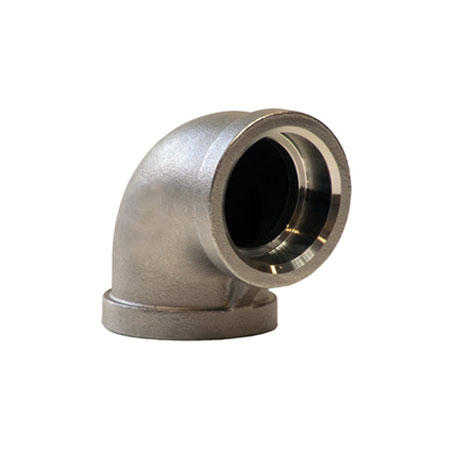 ANSI B16.28 Stainless Steel Reducing Elbow Manufacturer, SS 90° Reducing Elbow, Carbon Steel 45° Reducing Elbow, Alloy Steel 180° Reducing Elbow Supplier In Worldwide. Sweden, India, Iraq, Bulgaria, Slovakia, Macau, Bhutan, Vietnam, Malaysia, Gambia, Israel, Norway, Germany, Algeria, Ghana, Belarus, Mexico, Argentina, Tibet, Trinidad & Tobago,Tunisia, Thailand, Chile, Romania, Angola, Yemen, Russia, Turkey, Lithuania, Afghanistan, Estonia, Jordan, Japan, Nigeria, Libya, Croatia, South Korea, Iran, Egypt, Costa Rica, Netherlands, Mexico, Oman, Iran, Pakistan, Chile, Hong Kong, Taiwan, South Africa, United States, Azerbaijan, Philippines, Ireland, Saudi Arabia, Ecuador, Lebanon, Czech Republic, Belgium, Puerto Rico, Zimbabwe, Gabon, Poland, Australia, Kenya, Spain, Bahrain, Denmark, Nigeria, Austria, United Arab Emirates, Colombia, France, Greece, Canada, Morocco, Peru, Portugal, Indonesia, Poland, Bangladesh, Serbia, Sri Lanka, Brazil, Kuwait, Singapore, Switzerland, Nepal, Bolivia, Venezuela, Qatar, Finland, Hungary, United Kingdom, Italy, New Zealand, Ukraine, Namibia, Mongolia, China, Kazakhstan. Milan, Riyadh, Ludhiana, Coimbatore, Madrid, Howrah, Bhopal, Rio de Janeiro, Algiers, Houston, Singapore, Chandigarh, La Victoria, Dallas, Aberdeen, Busan, Sydney, Hyderabad, Jakarta, Ankara, Dammam, Indore, Port-of-Spain, Sharjah, Los Angeles, Chennai, Jeddah, Muscat, Montreal, Edmonton, Thane, Atyrau, Colombo, Surat, Jamshedpur, London, Bengaluru, Karachi, Gurgaon, Hong Kong, Visakhapatnam, Istanbul, Vung Tau, Chiyoda, Mexico City, Ahvaz, Nashik, Gimhae-si, Mumbai, Haryana, Cairo, Caracas, Kanpur, Bogota, Secunderabad, Santiago, Ahmedabad, Perth, Ranchi, Ulsan, Thiruvananthapuram, Abu Dhabi, Moscow, Kolkata, Hanoi, Toronto, Rajkot, Baroda, Vadodara, Calgary, Lahore, Tehran, Jaipur, Dubai, Ernakulam, Pimpri-Chinchwad, Navi Mumbai, Doha, Pune, Brisbane, Granada, Geoje-si, Al Khobar, Bangkok, Noida, Melbourne, Ho Chi Minh City, Petaling Jaya, New Delhi, Al Jubail, Faridabad, Manama, Seoul, Kuala Lumpur, Kuwait City, New York, Nagpur, Courbevoie, Lagos.